This week's Raw was one of the most eventful ones of recent times. Major talking points included Roman Reigns' update on his cancer, Ric Flair's birthday celebrations and Becky Lynch getting arrested. The road to WrestleMania is getting heated as every week major storyline updates are received and to the pleasure of WWE Universe, these updates have been spectacular. Roman Reigns received one of the biggest pops of recent times when he made a return last night and announced his cancer is in remission. It’s great to see the Big Dog back and WWE couldn’t have asked for better timing. Roman’s best friend Seth Rollins is set to face Brock Lesnar at Wrestlemania in what might be the hardest, toughest and definitely most dangerous fight of Seth Rollins’ career. WWE Creative have tried to involve Dean somewhere in this angle as the lunatic fringe did show his support for his former shield member. Dean said and we quote, “Slay The Beast”. That did bring a lot of cheer and over the weeks, Ambrose has shown signs of a face turn and it does increase the curiosity levels as to where the company is going with him. With that said, the WWE Universe witnessed a classic shield moment when Dean was being brutally attacked by 4 humongous personalities in the form of Bobby Lashley, Drew McIntyre, Baron Corbin and Elias. As the 4 aforementioned names were brutally attacking the lunatic fringe, out came the Kingslayer and the Big Dog to clean the house. Knowing the WWE, this might lead to a Shield Reunion at Wrestlemania where Seth Rollins battles Brock Lesnar for the Universal Title. Brock and Roman's rivalry is known by the world and it won't surprise many if the Big Dog decides to spear the Beast Incarnate to help his Shield brother in conquering Lesnar. 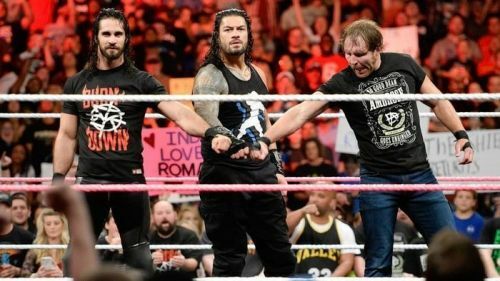 And for Dean, rumours are that the lunatic fringe is leaving the company and this might be a great move for WWE and Dean Ambrose as a shield reunion for the last time will let Dean leave on a high.